Is ranked joint 5578th with 312 other trigs (more). 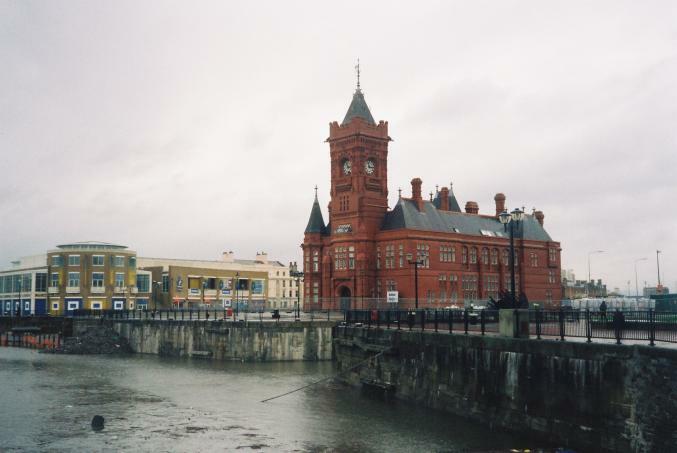 The Pierhead Building, by William Frame (1846-1906). 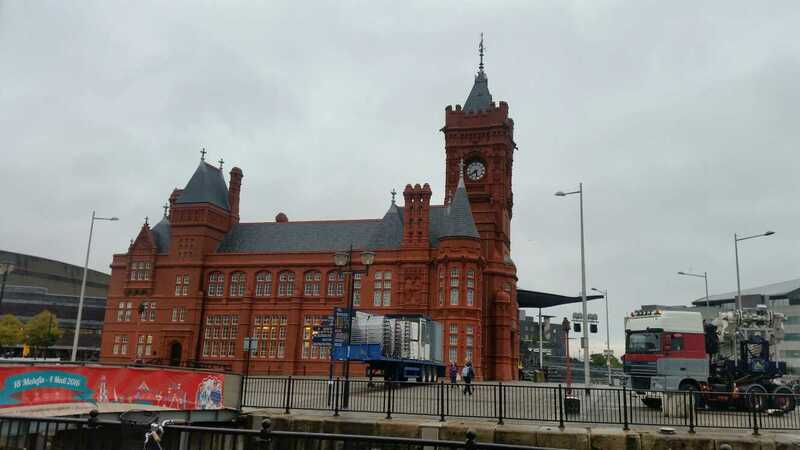 1896; restored and reopened in 2010 as a visitor and education centre for the Welsh National Assembly. William Frame's bold and confident building replaced the old Bute Dock Company offices after they were destroyed by fire in 1892. Grade I listed, it is described in the listing text as "a two storey Gothic building faced with red brick and terracotta," with "an embattled clock tower over the main entrance and a fine terracotta panel on the west face." 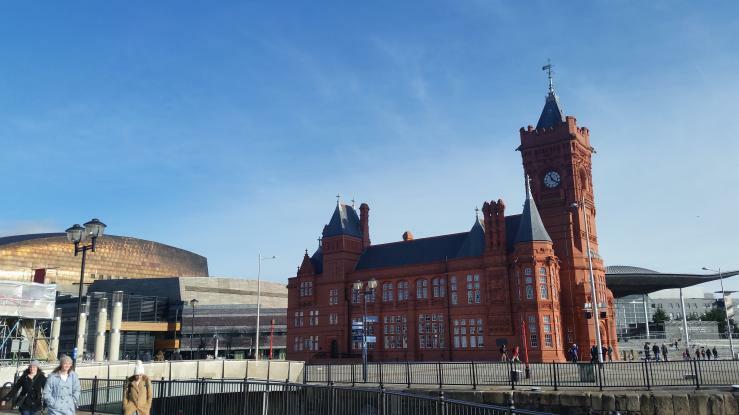 A case study concerned with its restoration adds: "The building incorporates a French-Gothic Renaissance theme with carved friezes, hexagonal chimneys, gargoyles, an ornate clock tower and a natural Welsh slate roof" ("The Pierhead Building, Cardiff Bay"). Unmissable because of its colour as well as its prominent site, and rich in ornamental detail, it made a clear statement about the company and indeed about thriving, cosmopolitan Cardiff to those arriving in the harbour. The building's interior is equally fine. The listing text continues: "Of most interest is the Port Manager's Office on the first floor, which features an ornamental chimneypiece with canopy, castellation, foliated columns, and herringbone tiles to the back." Great location and looking great too. 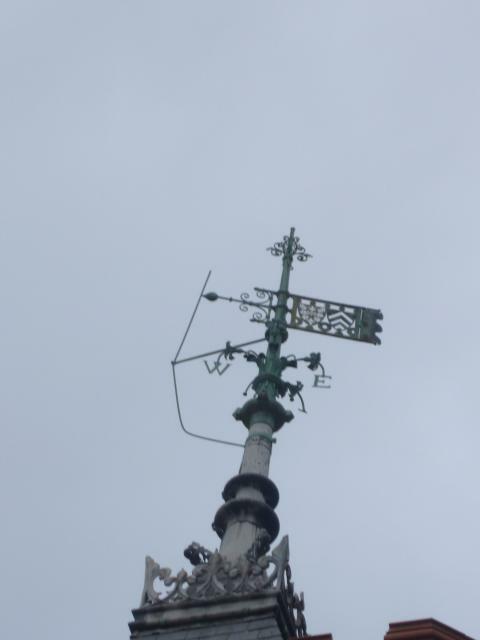 A very ornate weather vane indeed. No idea whether it is the original one or not. 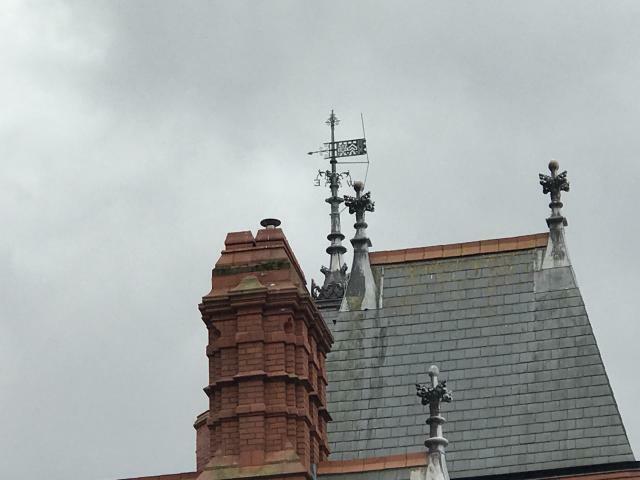 Cardiff Pierhead building weather vane. 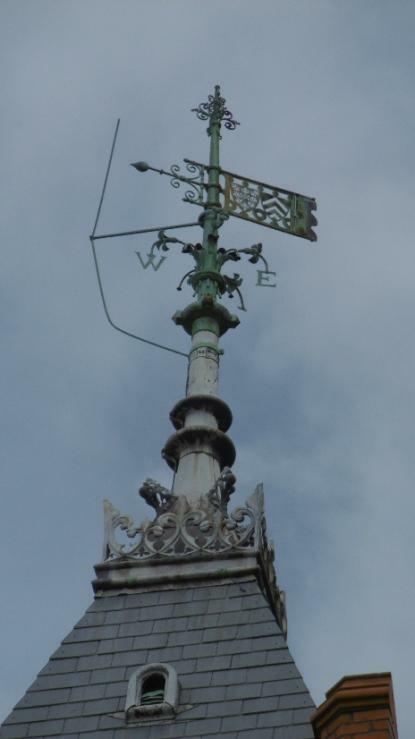 Lovely building with a great weather vane.